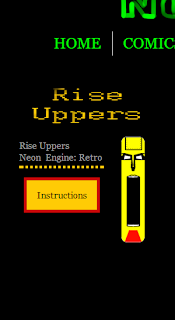 Added a new "Instruction" button to the Rise Uppers page. So, for all those who need a little visual assistance on assembling your new Retro Engine, simply click and then follow the step by step pictures. Pretty soon you'll have your own Retro Engine keeping order and balance in you little corner of the universe!